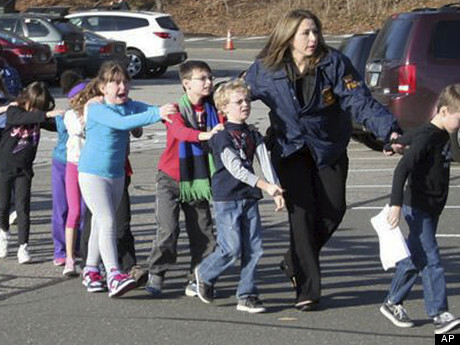 The shootings in at Sandy Brook Elementary School in Newtown, Connecticut have been traumatizing for the entire nation. While we have unfortunately become used to hearing about school shootings and other public mass shootings in the U.S., the brutal murder of 20 innocent elementary school children (all ages 6 and 7) is just too much to bear. In fact, the moment I saw the picture above, it was impossible to hold back the tears any longer because the image of the little boy with the blonde hair reminded me of my precious 7-year-old son. In this day and age, I knew that he and his equally precious 8-year-old sister would probably hear of what happened next week in school and my wife and I decided that it would be best if they heard it from us first. This is because if they hear about what happened from their peers, children are prone to misinformation and exaggeration and I did not want them to be misinformed from the outset. I also wanted to have some control over how and when the message was delivered. As to the latter point, we had a family day planned with exciting activities scheduled that I knew would make the kids happy. I reasoned that it would be better to tell them the sad news first so that the good events of the day that were to follow would overshadow what I was about to tell them. After all, this is not the type of news one wants to deliver to a child at the end of the day or right before bedtime when they have a lot of time to dwell on it. The way we have always raised our children is not to hide or shield them from the fact that we live in a dangerous world. They are aware that there are many nice people in the world but they also know that there are many “mean guys” out there who can do harm to them (which is why they know they should not go anywhere with strangers). We also talk to them and read books to them about dangerous things, places, and situations and how best to avoid or deal with such dangers. So it was that context that allowed me to ease into the conversation somewhat. We brought the children into a comfortable room and we sat down together in close company. I reminded them about the discussions we have had about the world being a dangerous place sometimes and how there are mean guys around. They innocently looked at me and nodded their heads. I then told them that there was something bad that happened yesterday at a school that they may hear about on Monday and that it was best that they hear it from us first. They were told that the school is far away from where we live to make them feel safer. They were then told that there was a mean guy who went into a school with some guns and shot some adults and children and that some of these people died, including the principal. My guiding thought process was to explain the essential facts but not go into unnecessary detail. After telling them such shocking news, I wanted to immediately counter this by letting them know something good, which is that the mean guy is dead and is not going to hurt them or anyone else anymore. Then came the first question, which was how did the mean guy die. My philosophy in responding was to tell the truth but try to keep it minimal. So my first response was simply that he was shot. The follow-up question was who shot him. The answer was that he shot himself. This is very strange to a young child and provoked a response that that is a very silly thing to do, which we all agreed with. Why would someone do that, my son asked. Again, to keep it simple for a 7-year-old, sometimes crazy people do crazy things that we would never do. While we don’t use the word crazy in clinical settings, you have to adjust the language when talking to children this young. I then wanted to discuss another positive aspect of the tragedy, which is that there were teachers who saved many of the children’s lives by following proper lockdown drill procedures. My daughter immediately responded that she knows what a lockdown drill is and that they are scary. This reminded my son of the drill as well and they explained some of the things they have to do when one occurs. We explained why going to the corner or in a closet away from the door is the safe thing to do and they wound up having a better understanding of why they have to do these drills. They were reminded that if they have another lockdown drill in school that the teachers will clearly let them know that it is only a drill and not the real thing, so they are not too scared the next time it happens. But this real-life example of lives being saved helped to explain to them why practicing lockdown drills are so important. By practicing the drills, the teachers were much better prepared and lives were saved. I then told them that I hoped one of the good things that will come out of something so sad is that our country finds a way to not make it so easy for mean guys to get guns. The hope here is that this would allow them to feel that something may happen in our society to make them feel safer. I sure hope this is not wishful thinking on my part because we cannot have another tragedy like this ever again. However, I could not tell them that there was no risk of this ever happening at their school. While I reminded them that dangerous situations can happen anywhere (even dad’s work, mom’s work, the mall, etc) there were told that school shootings are very rare. Nevertheless, they were told that it is very important for us to be aware of our surroundings, to be as careful as we can, and to try to make smart decisions to keep ourselves safe. There were no further questions but they were told that their friends in school may tell them things about what happened that are not true and to check with mom and dad before believing it. We wanted to keep an open forum between us so they feel comfortable asking questions about difficult subjects. They readily agreed to check with us and to ask us questions. The talk ended with a big family hug. We then proceeded to have a fun-filled family day and they did not bring the topic up once. We chose not to keep the TV news coverage on until they went to bed because we wanted to avoid chronic repeat exposure of this incident. The difficult part about parenting is that there is no manual that exists on how to explain a tragedy like this to your children. I hope that example above is useful in that regard. Thank you for reading and give your children some extra big hugs. These days, more and more hospitals, doctor offices, and medical centers are transitioning from paper medical records to electronic (paperless) medical records (EMR). One of the motivations for this transition is a monetary incentive from the government, provided that certain criteria and reporting standards are met. However, there are other advantages to moving towards an EMR system. One such advantage is that the days of sloppy, indecipherable, and forged handwritten signatures will be gone and replaced with a legible and secure electronic signature. Online signatures in the pharmaceutical industry are particularly important because it is necessary to meet new standards set forth by the Food and Drug Administration and the SAFE-BioPharma Association. For electronic signature systems to be effective, they must be secure such as having systems in place to detect and prevent tampering. This involves utilizing a multi-faceted authentication process, which will vary according to the specific system and should be customizable. 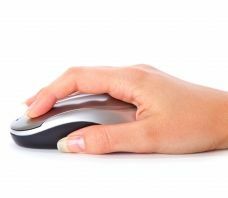 Online signatures should also be simple to use for the health care provider such that all that is required to sign is a point and click of the mouse. The online signature system should also be easily accessible for the healthcare provider such that an electronic signature can be made from any secure internet connection. This can improve healthcare delivery because the easier it is to obtain a healthcare provider’s signature, the faster that services can be provided. Time can also be saved with electronic signatures by allowing the health care provider to sign multiple documents at once and specifically directing the healthcare provider which documents need signing and which do not. This prevents packages of documents from missing needed signatures. Another benefit of EMRs is electronic notification of healthcare providers regarding a needed signature. Of course, reducing paper costs through electronic signatures helps save money. In the future, the MedFriendly Blog will feature additional articles on various features or EMR systems and how they will affect the patient and provider. If you’re looking out to start a career in the medical field, you’ve got many choices. But there are some jobs that are directly related to childbirth, which are usually in demand. Childbirth is a special time for all parents. However, in order to have a safe birth, it’s important to take care during and after pregnancy which is why there are number of medical professionals involved in the 9 months of duration. During the period of pregnancy and childbirth, the body goes through multiple changes. An obstetric physiotherapist works in the area of helping women deal with these changes. They help by teaching relaxation and breathing exercises, and also other activities that can be done during pregnancy in order to stay fit and healthy. They also offer support even after birth, where they show how postnatal exercises can be done to help tone the muscles. If you choose to become an obstetric physiotherapist, then you will be playing an important role in your pregnant patient's life and helping them have a safe, healthy pregnancy. Who knows what food is good to eat during pregnancy? A dietitian of course. The job of a dietitian is to mothers to be, find the right diet and let them know what food is bad for their health. Right from planning food/nutrition programs to teaching the right habits, they do it all. In order to become a dietitian, you need to have a bachelor’s degree. As far as the choices go, you’re not limited to what you can major in. What’s more, since more and more people are getting health conscious these days, the profession of a dietitian will only grow with time. Ultrasounds or sonograms are commonly used to analyze the fetus in pregnancy. As a sonographer your job would be to assist patients in revealing the baby’s gender and have them see their baby for the first time. The demand for sonography will definitely grow with time because one, sonography doesn’t use radiation and two, it’s cost-effective and non-invasive. You can receive training as a sonographer in a good, reputed institute such as the Sanford Brown Institute. A pediatrician is a doctor who is a child specialist. And a pediatrician whose specialty lies with dealing with newborn babies is called a neonatologist. The job of pediatrician is a sought after one since he is required to be there at the time of the birth in order to avoid any health complications in the baby. A career as a pediatrician can be a rewarding one, knowing that there is a growing demand for it in the field. In order to become one, you will have to study medicine at a university and gain a bachelor’s degree. The job options we discussed above may or may not be applicable to you but they definitely are worth considering if you want to build a career related to childbirth.